19. 11. 2018 | Today we have confirmed pregnancy of Angel Julia Lonson Staff. Puppies have to be born during Christmass. 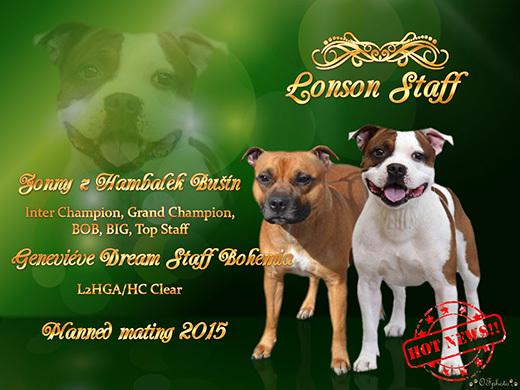 More info Litter D.
© 2015 Lonson Staff Staffordshire Bullteriers Kennel. Created by CVS Development s.r.o.